Hold your cigar or repair ball divots with this unique tool. It is made with a beautiful gunmetal finish. 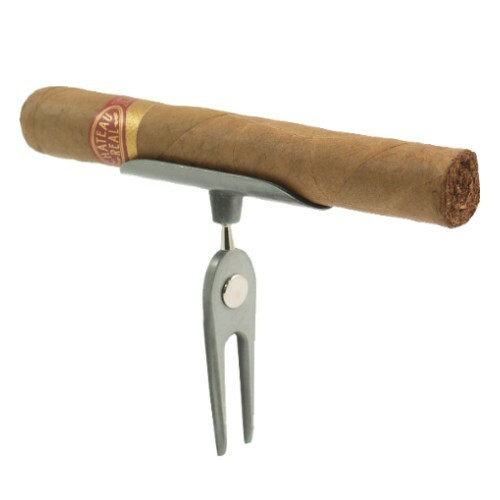 Use this versatile tool to hold your favorite cigar or smooth out golf ball divots on the green to make putting easier. It is an absolute essential for the cigar aficionado and golf enthusiast.